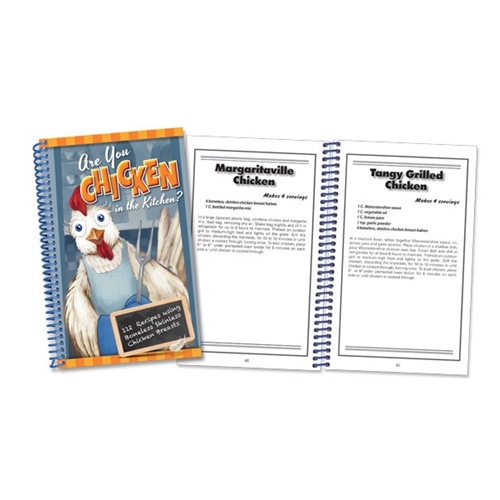 “Are you Chicken in the Kitchen” has 112 recipes using boneless, skinless chicken breasts. You will love how this cookbook is divided into sections based on the cooking technique like baked and Sautéed and Fried. You will love how simple these chicken recipes are.